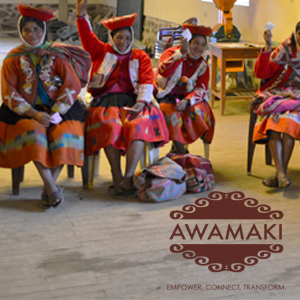 Awamaki is a nonprofit social enterprise that empowers rural Andean women with skills training, connects them to global market opportunities and enables them to earn an income that transforms their communities. From educating to forming a skills-based training program and helping women weavers secure their place in the global marketplace, Awamaki has paved the way for the greater Ollantaytambo community. Employing a fair trade policy, artisans are rightly compensated for their crafts while profits are reinvested towards sustainable projects which help the community out of poverty.